Silk Mill Ale & Cider House - Derby. The Silk Mill has been on my list to visit for quite a while now along with it's sister pubs/ restaurants The Exeter Arms and The Crossing. 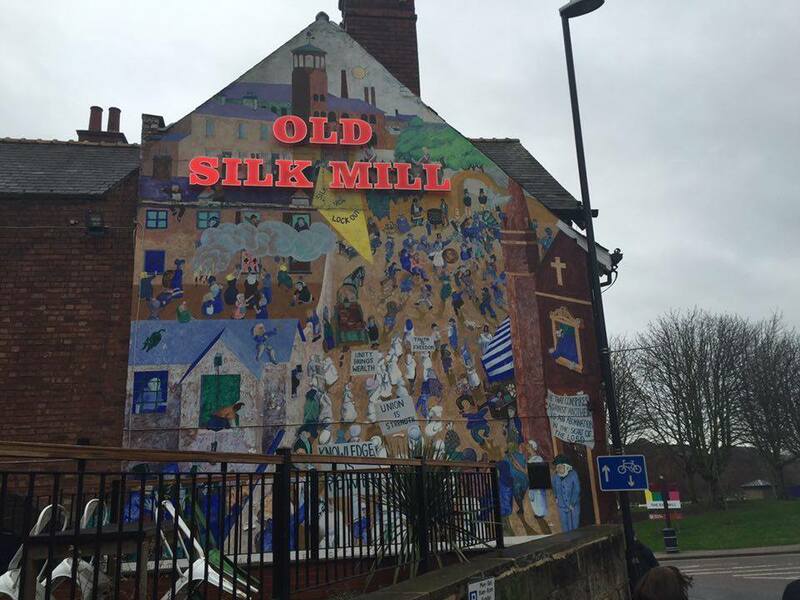 Located just a stones throw away from the likes of the river Derwent and Derby Cathedral, The Silk Mill has a central location. You can't really miss it when it's as bright and colourful as this! 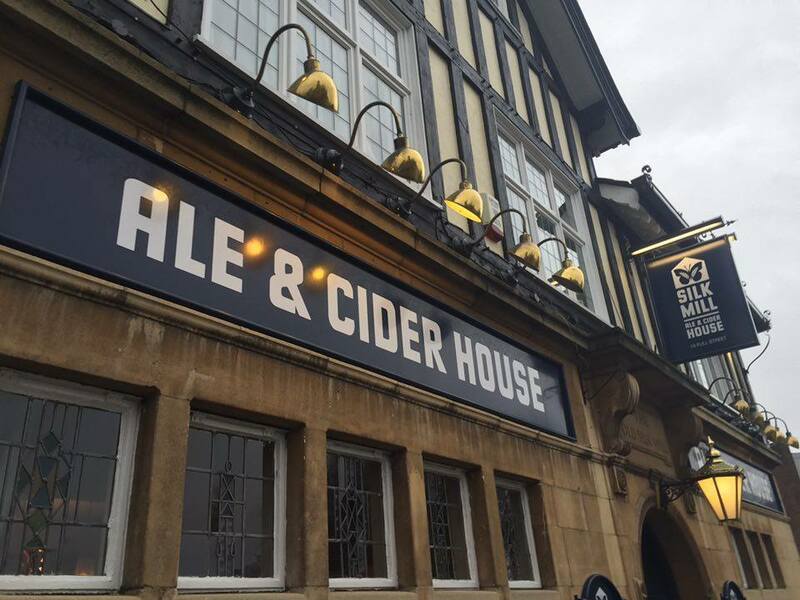 Most people automatically think of the real ale and cider selection when you mention this place. They do quite a range of local ones such as 'Ay Up' by Dancing Duck and 'Cleopatra' by Derventio (who we met at Ilkeston Food Fair). But, I'd been told that they do excellent food too. It was a Saturday afternoon and I was heading over to The Silk Mill as a group of 14. Having not booked anything, we called up to see if they could squeeze us in anywhere. As it was around 3pm, this wasn't an issue as most diners had been and gone. When I stepped into the bar area, it was full of people, I wasn't expecting it to be honest. I loved the decor. 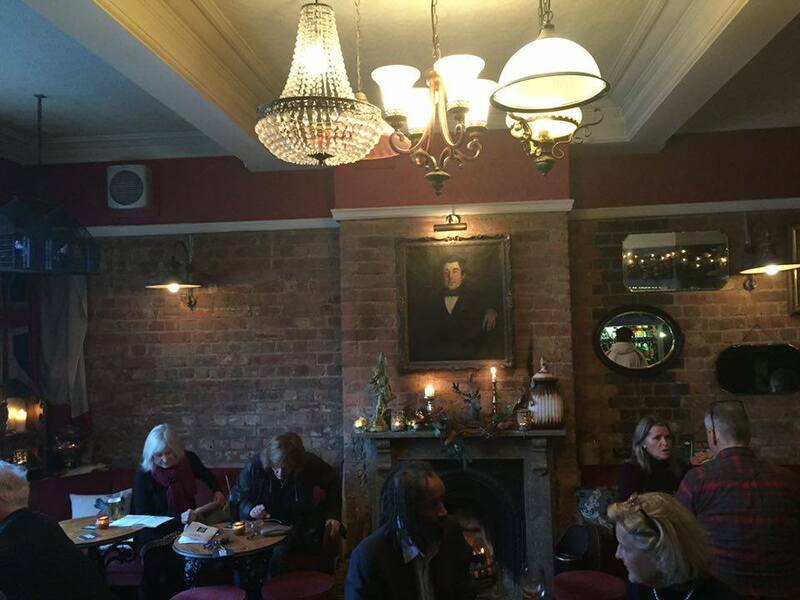 Exposed brickwork, lots of antiques, chandeliers, fireplace, paintings on the wall. It all went together great and looked great. The lady behind the bar, who eventually became our waitress took us to a room upstairs. 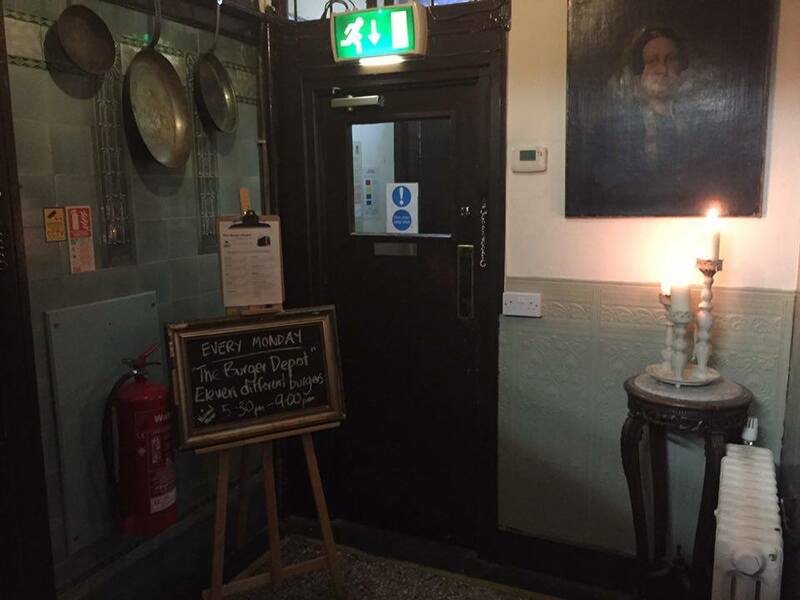 I presume this is a room they use for functions or large parties such as ourselves. Despite being away from everyone else, I really liked having this 'secret' room all to ourselves. It felt really exclusive. Like downstairs, the interior in here worked really well too. We were handed menus and our drinks order taken. We were told about an old school telephone that was attached to the wall. If we happened to need anything throughout our visit, all we needed to do was use this telephone and it would be answered in the bar to save us a trip downstairs. Something I've never seen in a restaurant before but loved the concept. 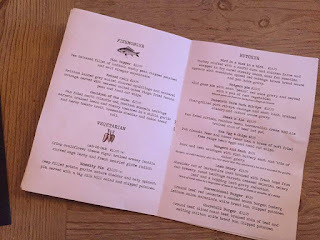 The menu has a reasonable amount of choice and is described as 'Great British Food' with a good mixture of different meats, veggie options and even a kids menu influenced by the British Isles. 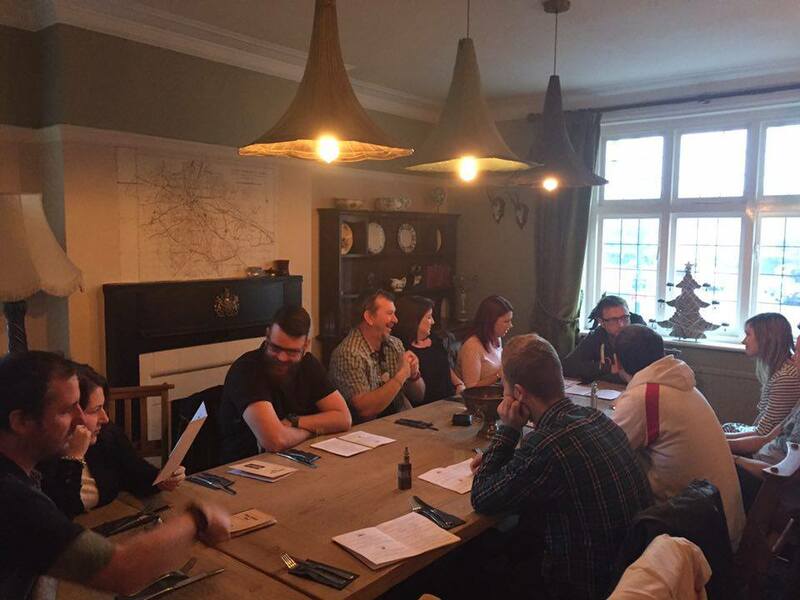 Upon ordering, we were advised of a wait of around 30-40 minutes as we had just been beaten by another large table. None of us were in a rush so this was fine. Our waitress bought us over some complimentary bread & butters with some crisps to keep us going. 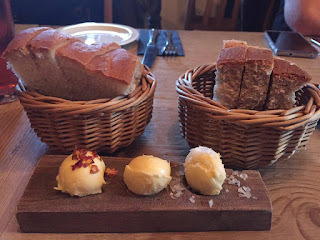 We were given both white and wholemeal bread along with 3 choices of butter flavours. Plain, Sea Salted & Chilli. I thought it looked really cute. 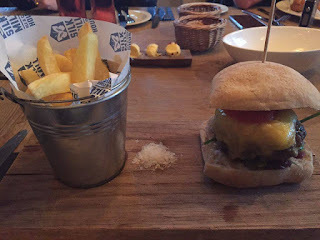 My favourite was the salted. Nobody was fussed about starters, we all went straight to mains. Before we knew it our food arrived - I'm not sure on the time scale, but it seemed a lot less than 30-40 mins. I'm not going to go through what everyone had, or I'll be here all day! 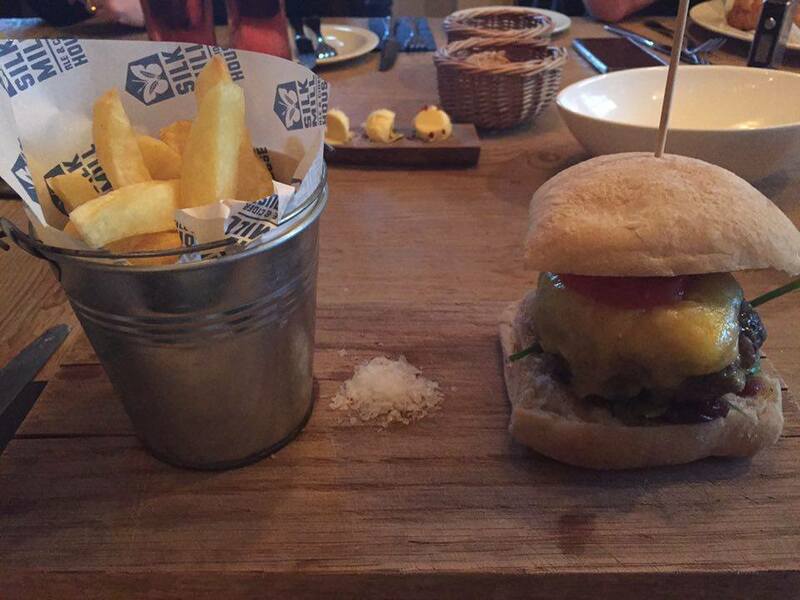 I chose to have 'The Conventional Burger' which in a nut shell is a cheeseburger along with a bucket of 'chipped potatoes' or chips to me and you. The burger patty itself was HUGE. In the end I had to leave a little but I really enjoyed this burger. Especially the amount of cheese. 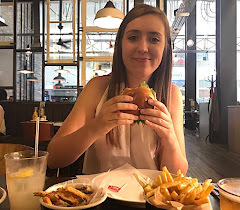 If you've read some of my other reviews then you'll know that I'm quite fond of a good burger. Chips great too, crispy on the outside and fluffy insides. 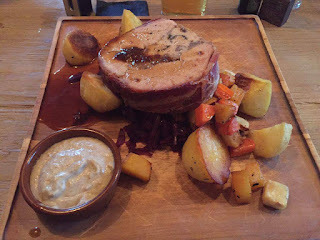 Ashlea had a 'Bird in a bird in a bird' which is Turkey stuffed with confit Duck and a Chicken farce all wrapped in bacon along with spiced red cabbage and Duck fat roasties. Oooh duck fat roasties. It looked delicious. It's a good job this comes with brown bread sauce and a splash of gravy, otherwise it would have been rather dry. It wasn't long before Ashlea had cleared his plate and he told me he really enjoyed it. Our waitress was very attentive throughout our visit even though she had to come upstairs which was nice. All 12 of the others seemed really happy with their meals too. Nobody complained, so that's a good sign. The deserts weren't tickling anyone's fancy so we gave them a miss. I'd like to have seen a little more of a selection if I'm honest. A couple of hours after arriving, we called it a day and paid up. I had an enjoyable meal at The Silk Mill & would return for sure. Take a look at their website, you can make bookings on there too.